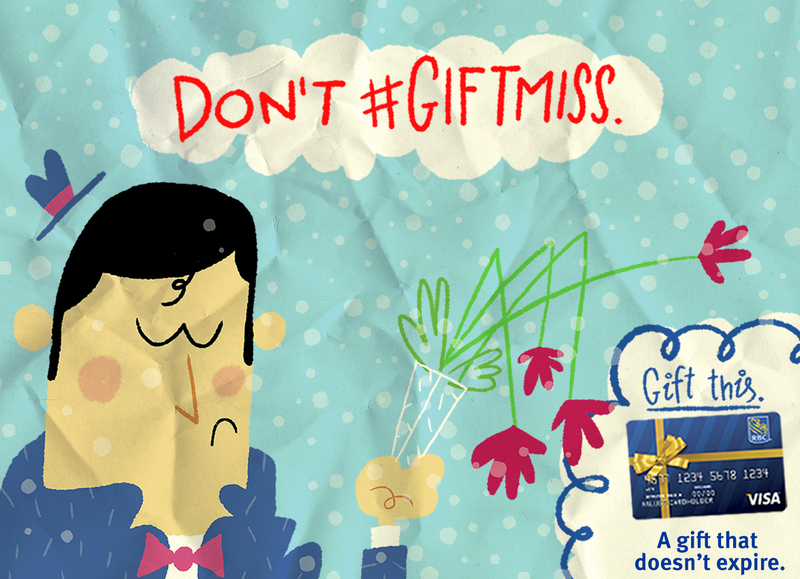 While working at GMR Marketing, we created a Christmas campaign focused on poor gifting and encouraged people not to “#Giftmiss” and give an RBC gift card instead. 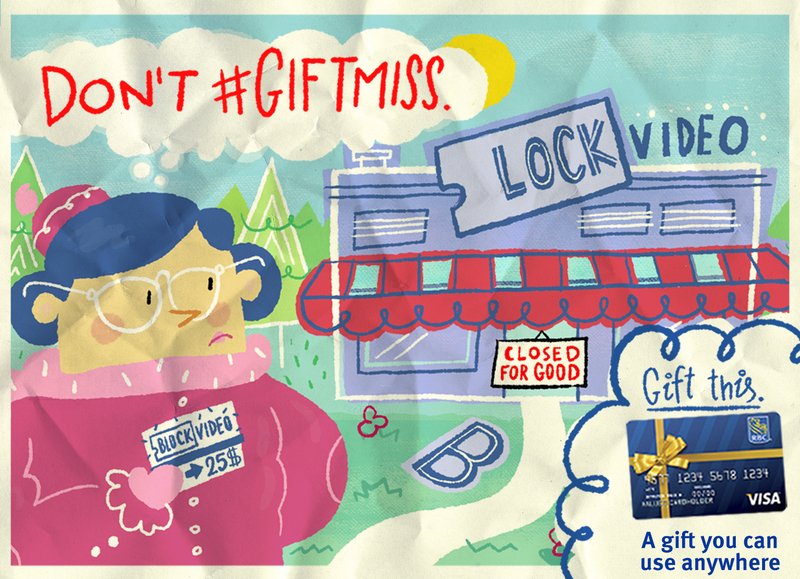 The video increased RBC gift card sales by 6%. I directed the illustrator throughout the campaign to ensure the project met RBC brand standards.